When the seeds are to be sown directly in the soil where the plants are to grow, the bed should be well prepared. Digging and manuring will have been carried out during the late autumn or winter and the soil needs raking before sowing so that the bed is level, even and free of large clods and stones. Sow thinly in 2.5cm (1in) deep drills, spaced 30cm (1ft) apart. After sowing, fill in the drills and firm. Do not tread heavily on a clay soil. Keep the seedlings free of weeds by hoeing between the rows during April and May, and pull out any weeds in the rows. 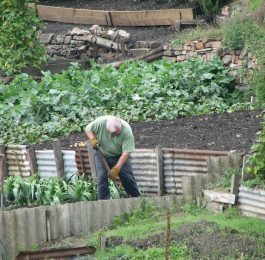 Start thinning the plants in mid-June and continue thinning until mid-July by which time those which are to remain should have at least 16cm (6in) of row space. When thinning, take great care not to break roots or foliage and never leave either on top of the soil. The odour of the broken plants attracts female onion flies and their small maggots ruin many onion crops. If the soil is on the dry side, water both before and after thinning. Use the immature onions in salads. Continue weeding the onion bed until July. During that month, or in August, the foliage becomes yellow and topples to the soil. Here and there it may be necessary to bend the foliage of a plant downwards. No further weeding is necessary and the crop is left to ripen. When the foliage is brown and brittle, choose a dry, sunny day, pull up or dig the onions from the soil, and spread them in the sun to complete the drying process. In wet weather, spread the onions on the greenhouse bench or under cloches. When the onions are quite dry,rub off soil, dead roots and dry, loose scales. Store the ripe onions in trays in a cool dry place, or better still, rope the crop. Hang the ropes in an outhouse or in the garage. Onion sets These are small onions grown by specialist nurserymen. The crop is dug and dried in the previous summer and offered for sale in the early winter and spring. One 0.5kg (1lb) of sets is sufficient for the average garden. Small sets are considered of better quality than large ones. Do not leave onion sets in bags after purchasing them, but spread them in a tray in a cool place before planting them in March. Prepare the bed as for seed sowing and plant the sets 16-20cm (6-8in) apart in 2.5cm (1in) deep drills. Except for hoeing to keep down weeds, little in the way of cultivation is necessary. The feeding of the plants with fertilizers may result in ‘bolting’. In late July, loosen the soil around the swelling bulbs to expose them to the sun. This must be done carefully because the plants may be blown down by strong winds if the roots are broken. 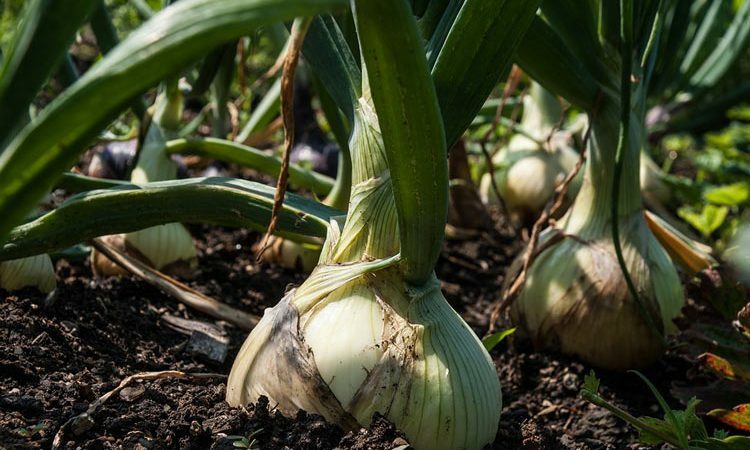 The foliage will topple to the soil in August and from then on harvesting and storing are as for onions from seeds. Spring onions Where maincrop onions are raised from sets, ‘spring’ or salad onions are grown by sowing seeds of ‘White Lisbon’ in August or in March. In colder parts, the August sowing needs cloche protection from October until the spring. Although the bed should not be a rich one, it must be well-drained. 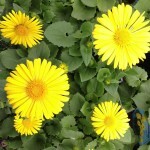 Sow quite thickly and hoe to remove weeds in September and again in March. Start pulling the small onions for salad use in May and continue to pull until July. The March sowing provides salad onions from July until the autumn. Onions for pickling ‘Marshall’s Super Pickle’ is a new onion with the round shape and size as favoured by the commercial pickier. Seeds of this variety or of any maincrop suitable for spring sowing are sown rather thickly in 1cm (0.5in) to 2.5cm (1in) deep drills spaced at 23cm (9in) apart in soil of low fertility during March or April. Weeding must be attended to regularly but the onion plants are not thinned. Harvesting is carried out when the foliage is dead, brown and brittle. For white cocktail onions seed of ‘Silver Skin’ or ‘Pearl Pickler’ is sown quite thickly in April or early May. 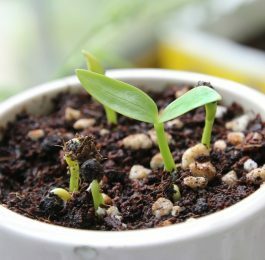 The soil should be reasonably fertile. If grown in a poor soil the onions are liable to be too small for use. Apart from weeding no cultivation is necessary and the plants are not thinned. The crop is harvested when the foliage dies. 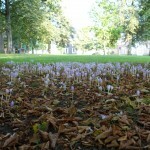 Unless harvested promptly, the bulbs produce fresh foliage. ‘Ailsa Craig’ Large, globular, handsome. Suitable for both spring and late summer sowing. One of the best for exhibition. ‘Autumn Queen’ Flattish shape. Good keeper. For spring and late summer sowing. ‘Bedfordshire Champion’ Large, globe-shaped. straw-brown skin usually tinged with pink. For spring sowing only. ‘Big Ben’ (A) Large, semi-flat shape, golden skin. Practically non-bolting. Exhibition quality. Good keeper. Sow in August. ‘Blood Red’ Medium-size, deep red skin, flat, pungent. Very hardy and especially recommended for cold areas. Good keeper. ‘Crossling’s Selected’ A globe onion much liked by exhibitors. ‘Early Yellow Globe’ Flattish-round. medium-sized, golden skinned, quick maturing and reasonably good keeper. For spring sowing only. ‘Excelsior, Cranston’s Selected’ Pale-skinned, large, round exhibition variety. ‘Giant Rocca’ (Brown) (A) Brown-skinned, flattish globe. For August sowing only. Does not store well. There is also ‘Yellow Rocca’. ‘Giant Zittau’ (A) Medium to large, semi-flat, golden-brown skin. Good keeper. Strongly recommended for August sowing. ‘James’ Long Keeping’ Oval, brown skin, medium size, stores well. ‘Marshall’s July Giant’ (A) Large, semi-globe shaped, early maturing. For August sowing. ‘Marshall’s Leverington Champion’ Globe-shaped, pale golden skin, very large. fairly good keeper. Recommended for exhibition use. ‘Red Italian’ (A) Medium-sized, red-skinned, flat bulbs. Sow in August. ‘Reliancequot; (A) Large, flattish, golden skin. Sow in August. ‘Rijnsburger Globe’ Large, pale-skinned, globe-shaped, long-keeping. ‘Rousham Park Hero’ White Spanish type, semi-flat, greenish-yellow skin, mild flavor. Can crop well on light soils. ‘Sutton’s Al’ Large flat bulbs. a good keeper. For spring or August sowing. ‘Sutton’s Solidity’ (A) Large, flattish bulbs. Plants do not bolt. A good keeper. Especially recommended for August sowing. quot;Superbaquot; A new F, hybrid. Medium-sized globular bulbs with smooth golden-brown skin. Early maturing and noted for uniformity. Stores well. ‘The Sutton’ Globe-shaped, early-ripening, excellent keeper. ‘Up-to-Datequot; Globe-shaped, straw-colored skin, remarkably good keeping qualities. ‘White Spanish’ Flattish onion, golden skin, mild flavor, good keeper. ‘Wijbo’ An early maturing selection of ‘Rijnsburger’. Noted for uniform appearance of the crop. (A)=Recommended for August sowing. Onions from this sowing are referred to as Autumn-sown among exhibitors.